During hunting season, the predators do not come to you. So you definitely need a hunting spotting scope that has a wild field of view, clear lenses, is protected from the glare of the sun, can be used whether in a moving car or in the field and is durable in the harshest conditions. This is where the Alpen Waterproof Fogproof Spotting Scope comes in. It even comes with a tripod with quick controls when focusing on your predator from yards away. In this Alpen Spotting Scope Review, we will look at its features, designs, product pros and cons as well as customer feedback on what they think of the Alpen Spotting Scope. Whether you are hunting in the mountains or in the open plains, you need a spotting scope to suit your needs. The Alpen Spotting Scope comes in 15-45X60, 18-36X60, 20-60X60, 20-60X80 and 20X50 models. This means that you can get a magnification option that will work best for your hunting experience. The twistable barrel makes it easy to adjust the view whether you are in a seated or standing position. You are able to acquire a clear, crisp and focused image at all times. In addition, you can get a straight piece or a 45 degree angled spotting scope depending on your preference. The extra large BAK-4 prisms with SHR metallic coating allows for an optimum optical experience. The high index glass ensures that all targeted predators or hunting targets are clear and crisp through the lens. In addition, there is the extended sunshade option at the front of the lens which can easily be twisted in or out to give you more shade, which means that the sun’s glare will not affect your view. Just because you are doing an extreme activity such as hunting does not mean you should not invest in a quality spotting scope such as the Alpen Spotting Scope. Any Alpen Spotting Scope review will tell you that customers are looking for durability and the ability to use a product even in the most extreme conditions. 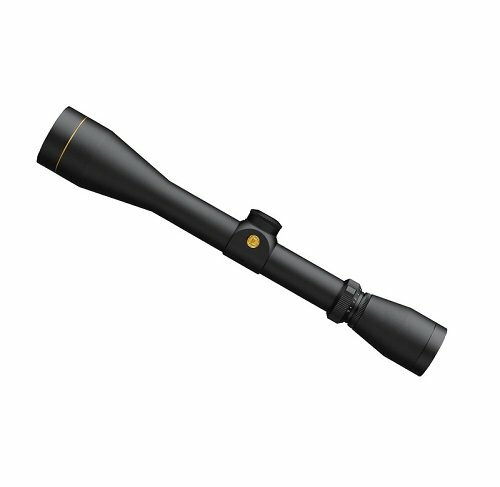 The nitrogen-filled casing protects all aspects of the spotting scope and is very durable. In addition, it makes the product waterproof, dustproof and generally keeps it safe from the elements. If the nitrogen casing is not enough, the carrying bag and mat that covers the scope ensure that your equipment is safe from the rain, fog, and dirt and it is even protected during a fall. While trying to focus on a target, you need the picture to be steady, crisp and clear. The 12 inch tripod that comes in the original package gives you the opportunity to mount the scope and comfortably enjoy the field of view uninterrupted. In fact, the tripod comes with some adjusting knobs to help you focus or move the scope up and down when needed. It saves on having to adjust the zoom and focus features while paying attention to your target. You can also purchase a car mount which can be clamped to the window of your car to attach your scope. This allows for easy targeting while on the move. While hunting, you want all your equipment to be well protected from damage or the elements. When you purchase the Alpen Spotting Scope, it comes in a lovely green carrying case featuring the Alpen logo. It keeps all the equipment safe and it is easy to carry thanks to the shoulder strap. Inside, the Alpen spotting scope is protected by a covering that can also function as a mat to place on the ground while using the tripod. It is perfect for placing any delicate pieces so they are not dented or scratched. Comes in a great carrying bag and protective case that doubles as a mat. Comes with a tripod with focus knobs for easy use without disrupting the scope. The Alpen Spotting Scope comes with multizoom options, a large lens and an extendable sun shade. Waterproof and dustproof thanks to the nitrogen filled casing. Multicoated optics for picture clarity. Tripod and car mount are available for hassle free scoping. The design is not out of this world, but any good hunter will opt for quality and not design. You have to purchase the car mount separately. Some models come in a soft case compared to other advertised versions that come with a hard case. Q: Which is preferred, the straight or angled scope? A: It usually does not matter which one you choose, but many prefer the angled scope for comfort. Q: Can I order the car mount with my initial order? A: Yes you can, but it will cost you extra as it is not part of the initial package. When going on a hunt, there are many animals that hide in the shadows or in the nooks and crannies of trees. Therefore, you need a spotting scope, and any Alpen Spotting Scope review will tell you that it is one of the best options in the market. It comes with multizoom options, a multicoated lens, a tripod for comfortable scoping, is waterproof thanks to the nitrogen filled and O-ring sealed casing, and comes in a carrying bag with additional protection from a mat to keep the parts safe from scratches. It is a great product, and along with its matching accessories is readily available from Amazon. For a few other best shooting spotting scope reviews, check out our Top Five Shooting Spotting Scopes Review with Buying Guide.